Sylvia J. (Noftz) Gibson, 77, of Tiffin, died at 4:17 p.m. Saturday, Sept. 1, 2018, in her home. 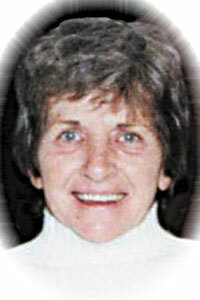 She was born July 3, 1941, in Tiffin to Joseph L. and Mary G. (Stone) Ranker. She married Billy Ray Gibson Sept. 10, 1976, in Tiffin, and he lives in the home they shared. Other survivors include two sons, Jeffrey (Renee) Noftz II of Bowling Green and Stephen (Brenda) Noftz of Athens; two stepsons, Billy Gibson Jr. of Tiffin and Bryan T. Gibson of Jackson, Michigan; two daughters, Dawn (Dean) Henry of Tiffin and Andrea (Peter) Kraft of Columbus; 12 grandchildren; 2 great-grandchildren; a brother, Joseph L. Ranker of Tiffin; and two sisters, Virginia Richardson of Tiffin and Dolores Ranker of Tiffin. She was preceded in death by her parents; a stepson, Gregory Gibson; and a brother, Thomas Ranker. Sylvia attended Calvert High School and was a homemaker. She worked at Hayes-Albion, Textron and Tiffin Developmental Center. There will be no visitation and funeral services will be private. Burial will take place at a later time in Greenlawn Cemetery. In Sylvia’s memory, people are asked to help those in financial need or by donating to a charity of their choice. Arrangements have been entrusted to the Traunero Funeral Home and Crematory. 214 S. Monroe St., Tiffin, Ohio 44883, 419-447-3113. To offer condolences to the family go to www.traunerofuneralhome.com.